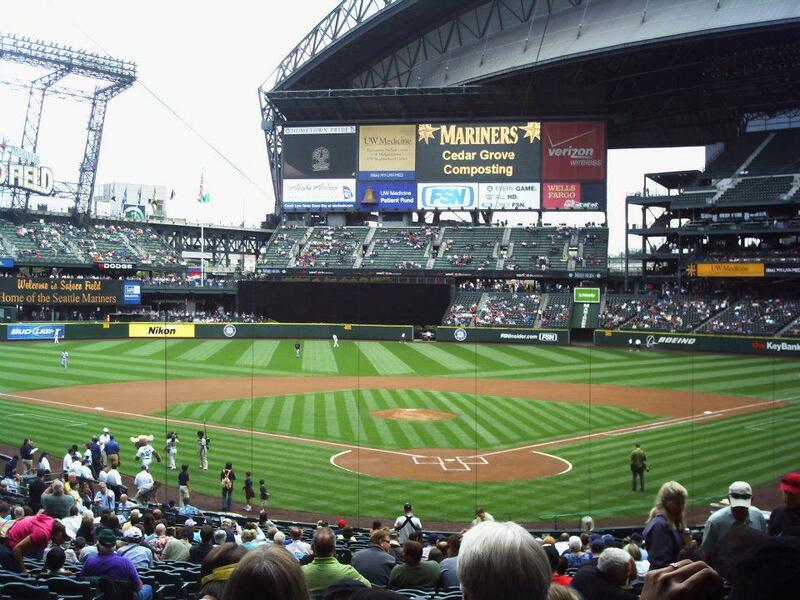 The Mariners have one of the gem stadiums in all of baseball right now. Since its next closest park is 800 Miles away (o.co Coliseum) and usually will head right into a doubleheader opportunity (or even 2) out of the 5 California Parks, you almost have to start or end your trip in the Pacific Northwest City. You simply should start there, preferably during a matinee game, before taking on the I – 5 South for a 14 Hour drive to the Bay Area. At least with a park this far away in seclusion, you are guaranteed a game with the retractable roof! 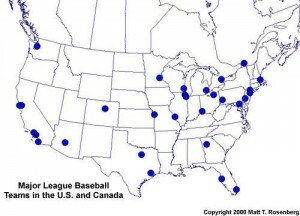 Safeco Field, home of the Seattle Mariners, is a geographical outlier with zero MLB stadiums within 800 miles of the ballpark. Any record attempts by land will require those interested to start or end the trip in the Emerald City. Kauffman Stadium is the linchpin when optimizing the shortest distance strategy. At first glance, Busch Stadium appears to be the next closest stadium. Yes. However, after manipulating all of the variations, it is not the most optimum next location. Google maps proves driving north to Target Field in Minneapolis, MN reduces the overall mileage than driving east to St. Louis, MO or south to Arlington, TX. The utilization of the TSP approach enables a potential traveler to watch a game at all 30 MLB stadiums in 24 days while completing SIX double headers. There is only one drive that exceeds 1000 miles, which is impossible to avoid in any land record-breaking attempt. Unfortunately, the 1002.6-mile drive between Minute Maid Park in Houston, TX and Tropicana Field in St. Petersburg, FL will come into play. 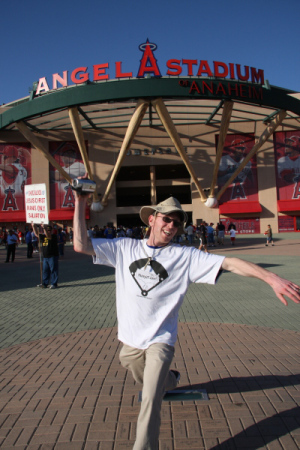 In 2008, I completed the journey to every MLB stadium in 26 days utilizing only land travel. Thanks to the help from eight different friends and family members who shared the 14,212 miles of driving. As illustrated in the graphic, one can see the odometer reading was not minimized during this transcontinental odyssey. Unfortunately, the MLB regular season schedule dictates ones ability to challenge such lofty goals. Certain variables in the schedule (game time, location, etc.) hinder linear routes when planning elaborate schemes of this nature causing a circuitous route. Three legs of the journey exceeded 1000 miles, including TWICE in a three-day span. The most thrilling drive of the trip was the 1082 miles from Petco Park in San Diego to Coors Field in Denver. There was only 14 hours on the clock from the last out of the Padres game to the first pitch at the Rockies game the next day. Remarkably, we made it to the game on time by TWO minutes! Use the TSP only as a guideline because the likelihood of a perfectly formulated schedule is nearly impossible. The 2014 MLB schedule should be announced in mid-September for those interested in plotting the next great MLB road trip. My journey included 4 doubleheader attempts (LAA – SD), (NYY – NYM). (PHI – WSH) and (CHC – MIL) to conclude my 30 park journey in 26 days quest. (This is Still the CURRENT LAND RECORD – ‘For Fastest to view a complete Game’ for all 30 MLB Parks.’ I was able to raise a lot of money for youth baseball in my attempt. ***Josh Robbins is a Video-Journalist and Baseball Historian living in Gilbert, Arizona. 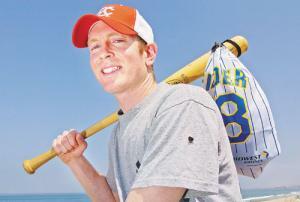 In 2010, he earned a Master’s Degree in Sport Management from CSU-Long Beach. You can follow us on Twitter and become a fan on Facebook. To subscribe to our website and have the Daily Reports sent directly to your inbox, click here and follow the link at the top of our homepage. Posted on August 30, 2013, in The Rest: Everything Baseball and tagged 30 in 26, al central, AL East, AL West, all 30 MLB parks, All 30 MLB Teams, American league, Angel Stadium, at &T park, Atlanta Braves, baltimore orioles, boston red sox, busch stadium, Camden Yards, chase field, chicago white sox, citi field, Citizens Bank Ball Park, cleveland indians, comerica park, Coors Field, detroit tigers, dodger stadium, Great American Ball Park, houston astros, Josh Robbins, kansas city royals, kauffman stadium, la angels, miami marlins, miller park, minnesota twins, minute maid park, national league, nationals park, new marlins ballpark, new york mets, new york yankees, NL east, o.co coliseum, oakland athletics, petco park, pnc park, progressive field, safeco field, seattle mariners, tampa bay rays, target field, texas rangers, the ballpark in arlington, The Rogers Center, thirty27, toronto blue jays, Traveling salesman problem, tropicana field, turner field, us cellular field, washington nationals, wrigley field, yankee stadium. Bookmark the permalink. 1 Comment.